Worked up to 175# on the Barbell Row, and did the reps at 155#. Felt good. The Jerks felt good as well. I probably should have gone a little heavier, but I was trying to hurry since I was on my lunch break. Those Kettlebell swings got tough. It sounds like an easy little WOD, but it’s a tough one. I wrapped it up in 12:17, and went back to work. 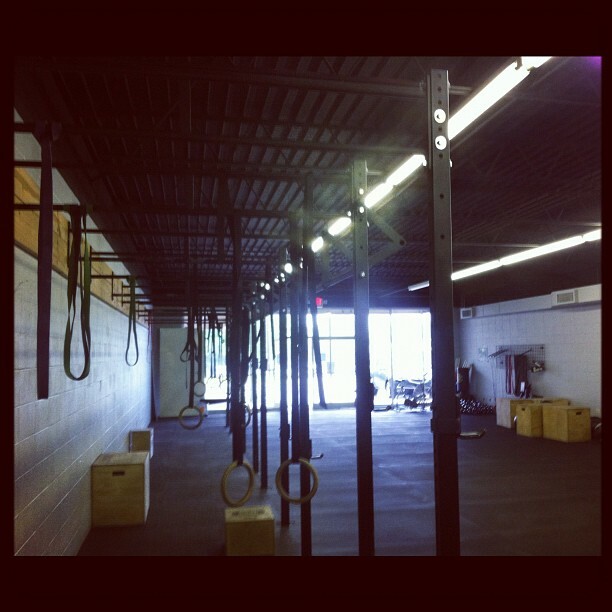 Thanks to Justin at CF Collierville for letting me coming in for a workout!! Great gym! I have a 5 Mile time trial scheduled for this weekend. I’m not sure if I’ll get that done Saturday or Sunday, but I’ll make sure to get that knocked out.